Bicycling is an expression of curiosity, (Monica) Howe (above) said: "the need to scrutinize and question the world around us." You know that something has "arrived" when it receives substantial sympathetic consideration in the mainstream media. 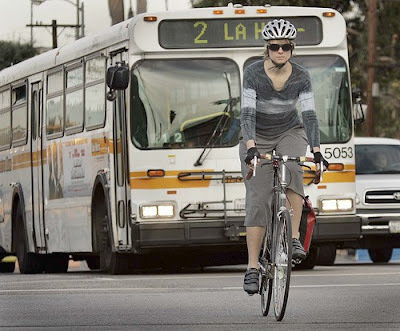 This profile of Monica Howe, outreach coordinator of the Los Angeles County Bicycle Coalition, is a nice feature for readers in traffic swamped L.A. 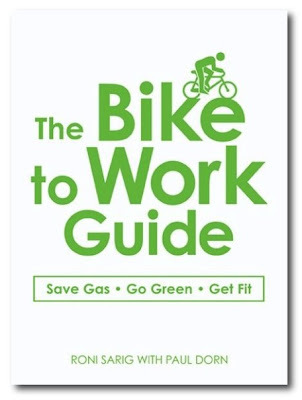 It reminds me of the extensive interview with David Snyder of the San Francisco Bicycle Coalition, published by the San Francisco Chronicle in August 1997 in the wake of that year's Critical Mass upsurge. That was a watershed year for San Francisco's bicycling community. Perhaps this could be a landmark year for bicyclists in Los Angeles, already a city with a considerable bicycling community and host of Bike Summer 2005. This Los Angeles Times article prompted some letters to the editor in today's paper.